Nutro Choice Large Breed Adult Dry Dog Food, 30 lbs. Because of their larger frames, large breed dogs need high-quality proteins, healthy nutrients, such as glucosamine and chondroitin, and balanced levels of calcium and phosphorus to ensure proper muscle maintenance and healthy joints and bones. 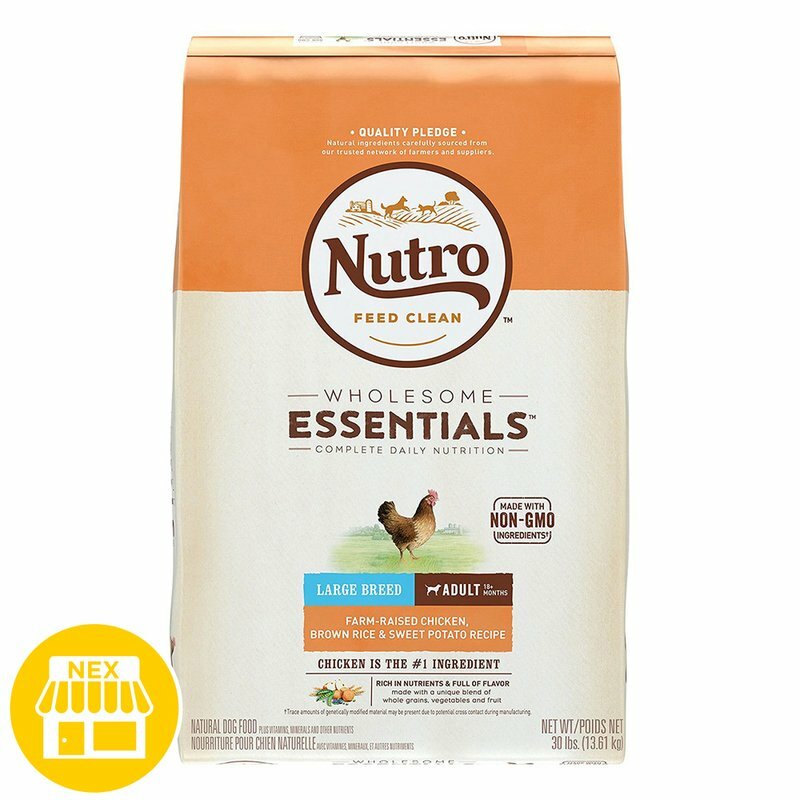 To meet their needs, Nutro Large Breed Adult Dog Food is made with real, farm raised chicken, whole grains and balanced fiber. Not only will Nutro's natural large breed dog food offer a taste your dog will enjoy, it also will aid in digestion by helping their digestive system better absorb available nutrients. And because it’s packed with vitamins, minerals and amino acids, your dog will always get the nutrition they deserve.